When I know I will have a long day ahead of me, I like taking the extra step of applying a face primer since it makes my makeup hold up better throughout the day. Although I have tried quite a few primers, there are only a couple I have noticed actually make a difference, one of them being Benefit's Porefessional. 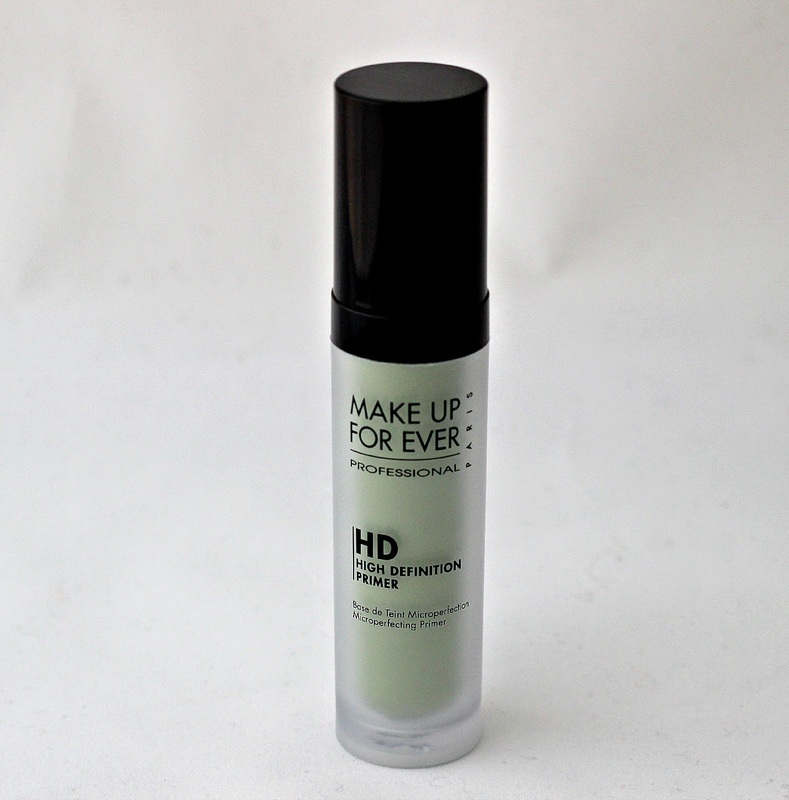 So when I got to try Make Up For Ever's HD Microperfecting Primer* in the shade #1 Green, I had really high hopes that it would become a new favourite. What I like about this line is that it comes in 7 shades that target specific skin issues and are designed to enhance your skin tone. I chose the green shade since it is formulated to reduce redness and targets women with rosacea. I have acne-prone skin meaning I have a lot of redness and since green counteracts red, it helps mask a lot of my imperfections. 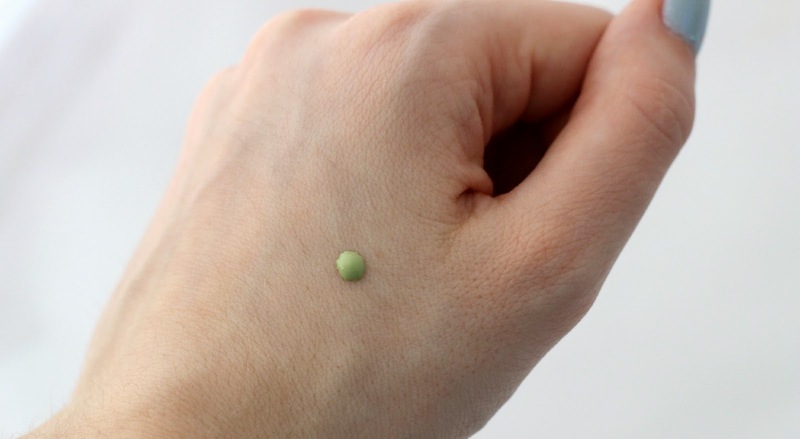 When I first apply this primer, it leaves a green cast on my face, and it is only when I apply my foundation and concealer on top that the green is cancelled out and I am left with a neutral skin tone. The primer feels very light on the skin and is oil-free, so it is great for my combination skin. It also feels very hydrating, although I still prefer to moisturize beforehand. 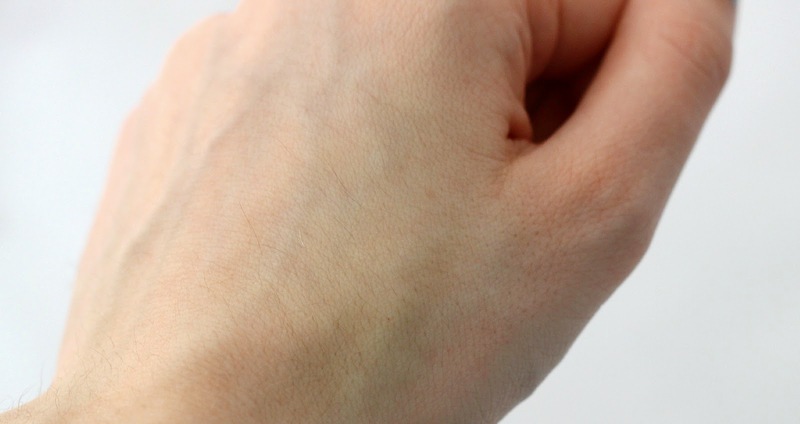 I apply it with my fingers, but you can also apply it with a sponge for an even distribution. The only issue I have with this product is its scent. I can't exactly put my hand on it to properly describe it or even compare it to another smell, it's just too strong for me. If you have tried this primer or one in another shade, I would be curious to know if you had any issues with the scent as well. Overall, I still think it is a decent primer, I just wish the scent wasn't as pronounced. 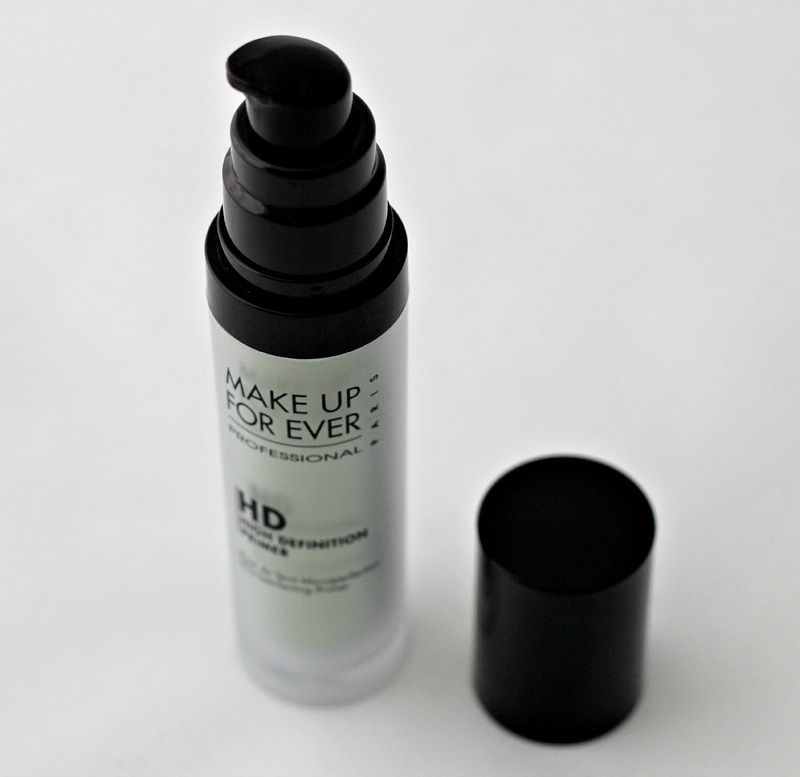 If you'd be interested in giving one of the Make Up For Ever HD primers a try, they retail for $39 in Canada and can be purchased at Sephora and Make Up For Ever Boutiques, or online at Sephora.ca. *Disclaimer: This product was sent to me and has been reviewed in accordance with my disclosure policy. So interesting! I would love to try a skin correcting primer if only it weren't so pricey! I can't wait to try the green one. The "blue" I have, which is really more white, was great to give me a blank canvas but I found I still had a wee bit of redness. I've been using the regular HD primer. I actually really like the smell, and I'm usually turned off by fragrances. I would describe it as a light, Asian floral fragrance similar to Shiseido's moisturizer but less perfume like. I'd like to try the green one because I have redness, although I wish they were cruelty free. I've been wanting to try the primers from MUFE for awhile now, but haven't gotten around to doing so. But, if the scent is off putting probably won't be buying... 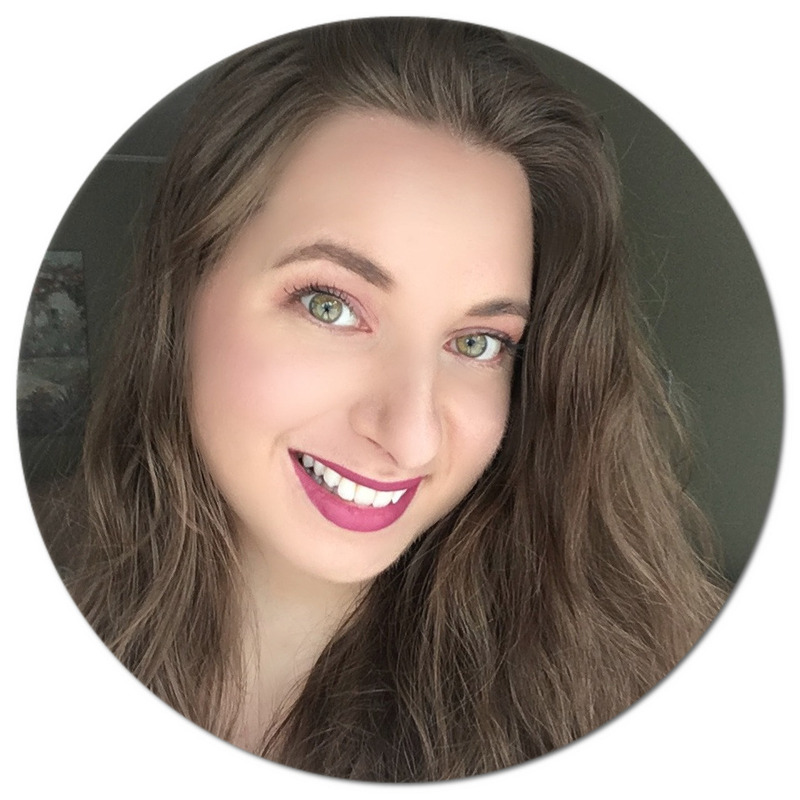 Stopped by from the Let's Be Friends Blog Hop! I received the neutral one, I quite like that it's not silicon-y and doesn't pill like some other primers I have tried! I will have to check this out on my next Sephora trip! I've never tried green primers. I already have the HD foundation on my wishlist, now i have to save up for this one too ! Next time I go to Sephora I am definitely going to try this! The green color has me really interested! I've always been nervous to try green primer type products... don't want to look like a witch. I've been looking for a good green primer so I'm definitely going to check this one out! Thank you for the excellent review! Great review, thanks! Green primer is very interesting! I never tried it!